Rather than arranging multiple transfer services yourself, opt for a convenient and cost-effect package that transports you from Surat Thani Airport to Koh Tao with ease. 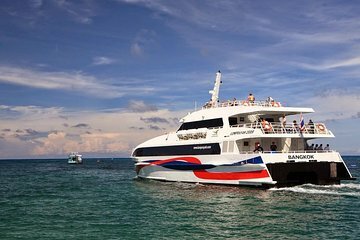 Traveling by both bus and high-speed catamaran to save time, you’ll rest assured that tickets for the popular route won’t be sold out. Plus, several departure times throughout the day mean that you can choose a time to suit your schedule.